• Bishop Charles E. Blake, Sr.
• Dr. Cecil M. Robeck, Jr.
Director Clay Banks states, “Shooting a documentary on a move of the Holy Spirit is like trying to harness the wind.” Nevertheless, using photos, sketches, and vintage film clips, Banks has created a documentary recording the growth of the Pentecostal movement in Los Angeles. The project follows William Seymour, the one-eyed son of a slave, from his roots in Louisiana to his sprit-filled life in Los Angeles. Seymour grew in faith and preached the message of salvation beginning on Bonnie Brae Street, eventually moving his mission to Azusa Street. He has been called the Martin Luther, John Wesley, and John Calvin of the Pentecostal movement. Interviews with present-day Pentecostals such as Joyce Meyer, Bishop Charles E. Blake, Sr., and Jim Reeve bring this history up to date. Added features include director’s comments, a tour of Bonnie Brae House, and an art gallery of fantastic sketches. This documentary places the movement in historical context, allowing viewers to visually travel back to the era. 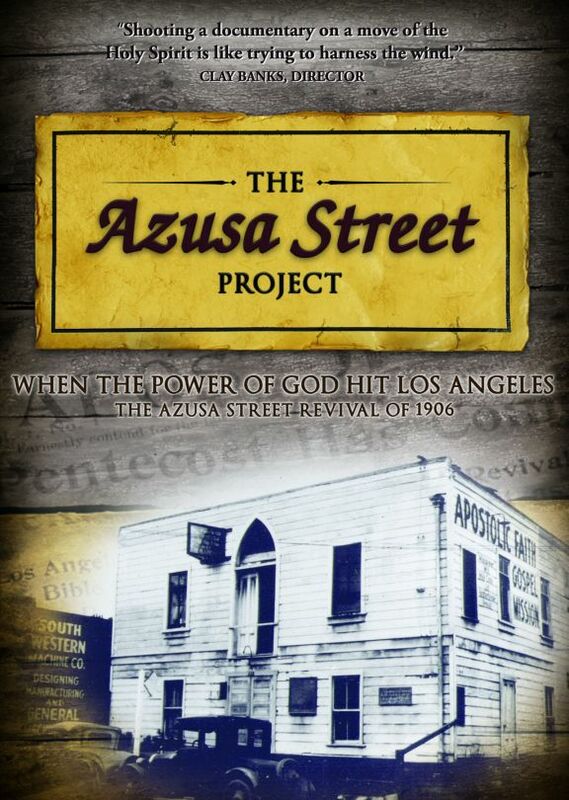 This documentary focuses on the events that led to the event 1906 Los Angeles known as the Azusa Street Revival. This event is seen as the spark for the Pentecostal movement that remains popular today. William Seymour was the preacher when a number of people in the congregation were baptized in the Spirit and began speaking in tongues. The Holiness tradition, which birthed the communities involved in the Azusa Street Revival, believes in three works of grace. Salvation is the first work of grace, sanctification the second, and baptism of the Holy Spirit the third. The Azusa Street Revival and the movements that grew out of it highlight the importance of the third work of grace through speaking in tongues. Along with exploring William Seymour's journey to Azusa Street, this DVD also reflects upon the backlash and criticism of the movement. This 54-minute documentary could be used as an exploration of different denominations' beliefs and particularly the impact of the Pentecostal movement today. Travis - A must see. I saw this on TBN one night, it must have been over a year ago. I was hooked. It revealed so much to me that I didn't know about this defining moment in history. The most moving documentary seemed in my life time. The power of Holy Spirit evident in this documentary is a witnessing tool for all non belivers and conservative Christians. I can't wait for the second DVD based on the material that was gathered during this project. I saw the DVD yesterday at Total Deliverance Worship Center. My Pastor William A. Benson wanted the church to experience Azusa and know the history. It was truly a remarkable experience. I had no idea God had moved this way. The presentation will take your breath away at the power of God. I recommend the DVD to every Christian, every church, every person who has not received salvation. God Bless You! This is probably the best video documentary of any great revival. Some of the things in this video like singing in tounges and miracles one of my legs was shorter than the other and a pastor prayed and my leg grew out about 2 inches instantly 17 yrs. ago . I know that whats in this video is true I have seen some of those same things myself in a local church. Good to inspire churches to seek The power of God in their lives and church.